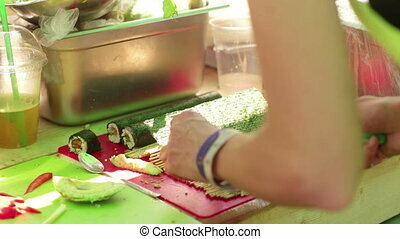 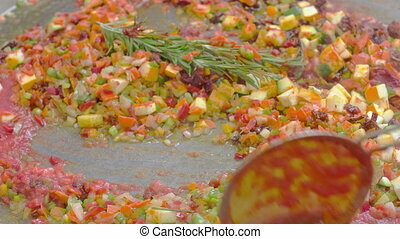 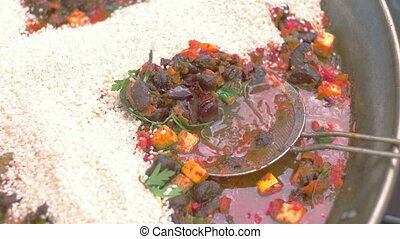 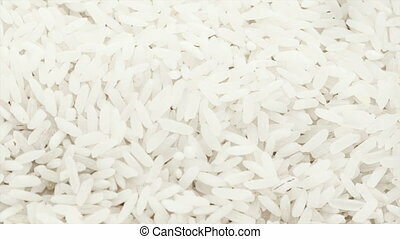 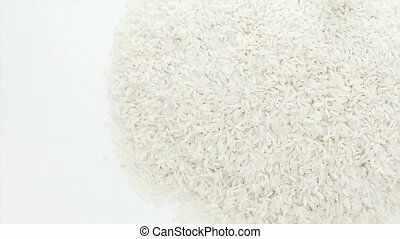 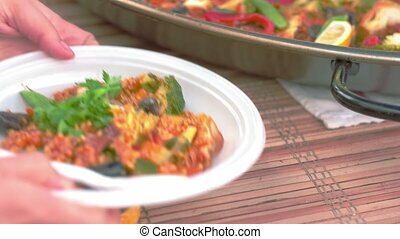 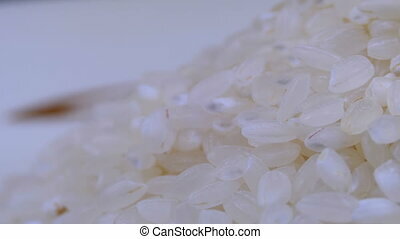 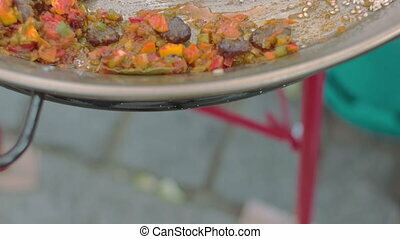 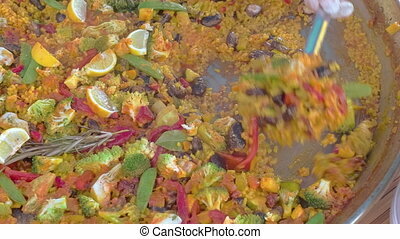 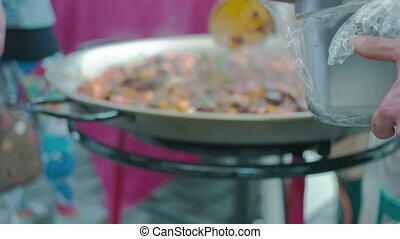 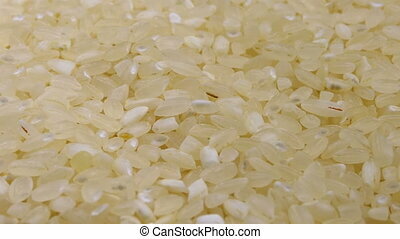 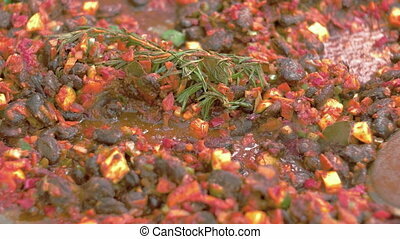 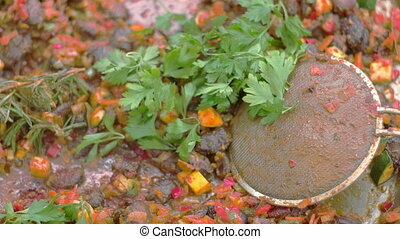 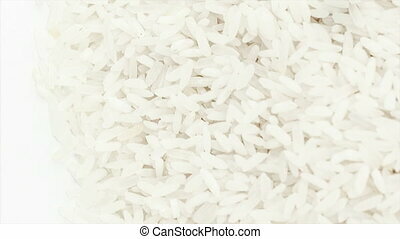 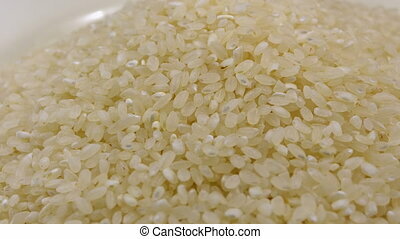 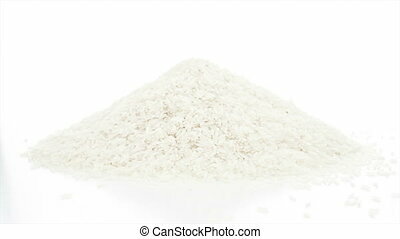 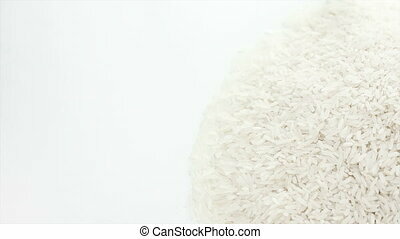 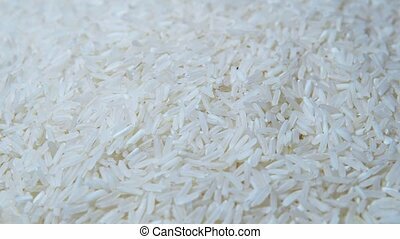 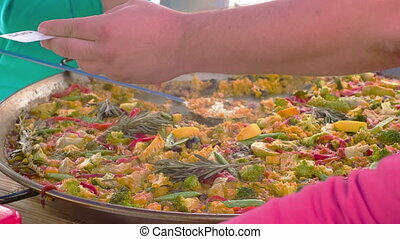 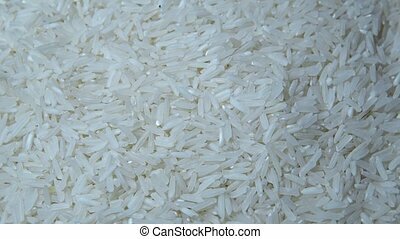 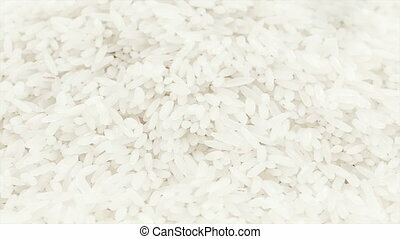 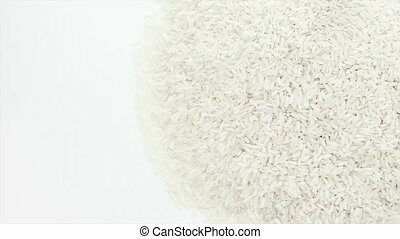 Raw rice rotating on the white table with white seamless background. 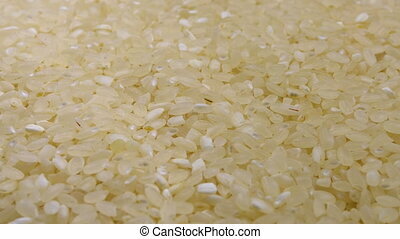 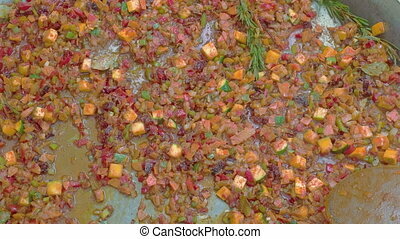 rotating close-up pile of raw rice. 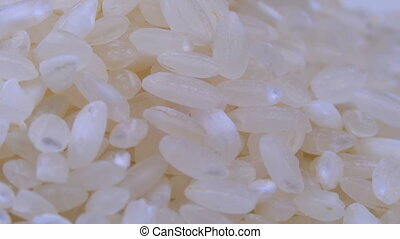 Grains of Raw Rice Rotate Close-up. 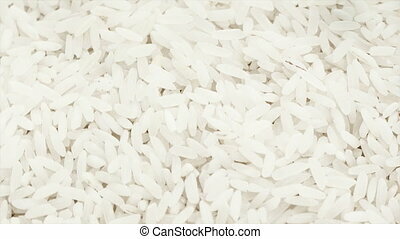 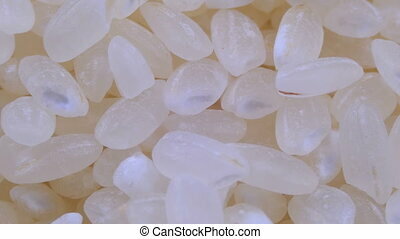 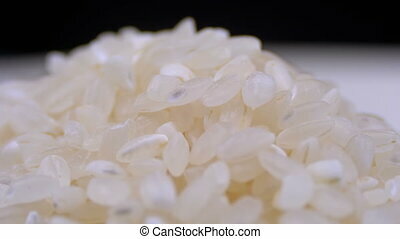 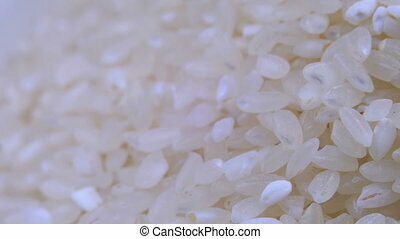 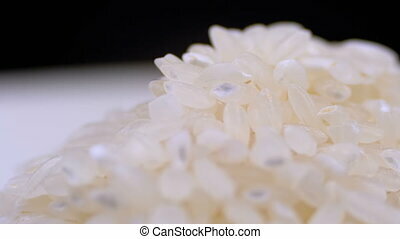 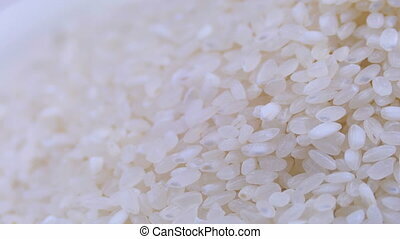 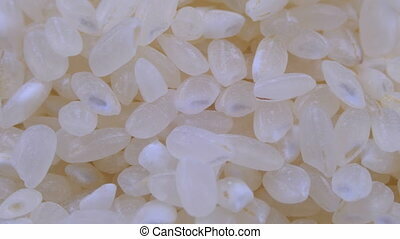 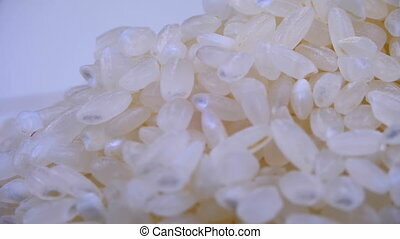 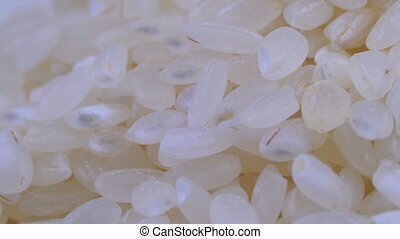 Detailed macro view of white rice grains.